GPU Shark 0.9.9.0 adds the support of the NVIDIA TITAN X (Pascal), GeForce GTX 1070 and GTX 1060 as well as GTX 980M and GTX 980 for notebooks. Partial support of AMD Radeon RX 480, RX 470 and RX 460 have been added. 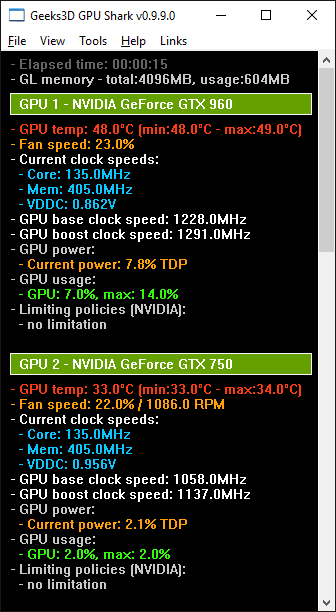 The support of RX 400 is partial because according to some feedbacks I received, AMD has changed the way to read GPU data (clock speeds) in Radeon RX 400 (probably linked to WattMan) and my current code does not work with AMD latest GPUs. 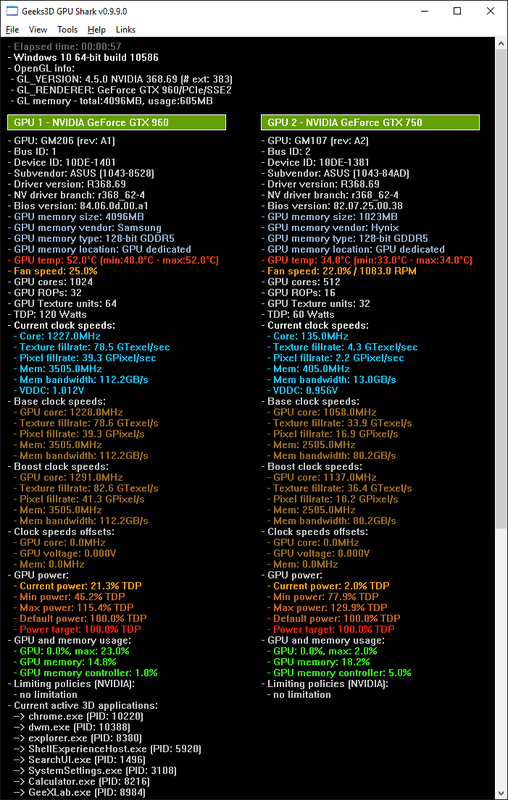 I will update properly GPU data reading as soon as I will get a Polaris-based graphics card. 2 – What is GPU Shark? + added support of GeForce GTX 1060. + added partial support of Radeon RX 470 and RX 460.